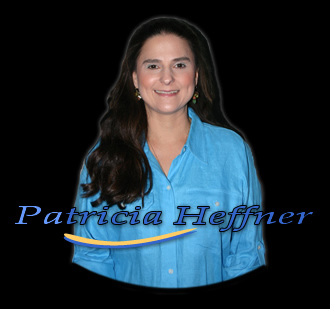 NC Web Designs is operated by Patricia Heffner, Owner | Web Designer. There is no outsourcing usually required but given technology today, there might be a customary circumstance for a solution where it might be necessary. This would be determined before work is performed. NC Web Designs wants to help small businesses get an edge in todays internet website marketplace. All businesses need to have a professional website to be competitive, and have some kind of web presence. Just having a website is not enough! It has to be set up correctly and Search Engine Optimization, (SEO) is the most critical aspect. I am passionate about helping clients get all the benefits of today's web, and the most visibility in a website to help you grow your business, designed in the right way, with SEO in place. Search Engine Optimization, (SEO), now, is quite a concept. Find out about Organic SEO, and how NC Web Designs would utilize techniques in site development, to help your website improve its ranking. I am a Master Certified Internet Web Designer. I develop web sites in WordPress or Dreamweaver and use various graphics programs, such as Adobe Photoshop, Illustrator, Fireworks to create custom graphics. Before life as a Web Designer, I earned a BS in Interior Design from Winthrop University. These two fields actually have a lot in common and I didn't discover the web until later in my life. In my spare time I enjoy photography, cooking, baking, crafts or anything I can make that is unique. These all seam together nicely in my life and hey, I have to get away from the computer at some point, and these take my mind off of script and Internet Explorer bugs. I also dabble in floral arrangements and making jewelry as well. The rest of my time is devoted to family and raising two great kids. I also love nature and butterflies, if you couldn't tell, and have been known to raise them if I find them eating my Parsley! Yes, I garden some too! Recently I've been taking a class on beekeeping. It's so interesting it may just become a new hobby! Wish me luck!